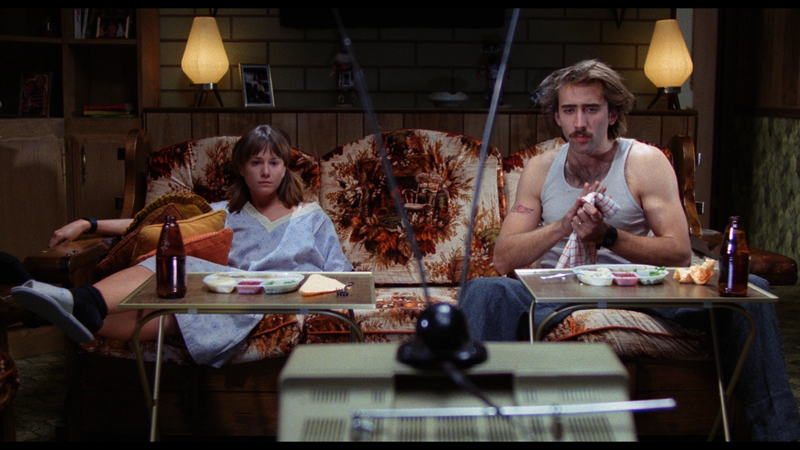 A madcap comedy, Raising Arizona aims for a loony vibe and often achieves it. The parenting misadventures of a petty thief and his ex-cop wife are wildly unpredictable and sometimes quite hilarious. Herbert "Hi" McDunnough (Nicolas Cage) can't drive past a convenience store without thinking of holding it up. Since he never uses live ammunition, he receives a succession of short prison sentences. Every time he is arrested he catches sight of booking officer Edwina, known simply as Ed (Holly Hunter). He finally times it right, proposes and marries her on one of his stints outside the jail cell. Hi and Ed settle down to a life of crime-free domesticity, but soon find out that she cannot conceive, and Ed slumps into an aggravated state of depression. When the media announce that discount furniture king Nathan Arizona (Trey Wilson) and his wife Florence have given birth to quintuplets, Hi and Ed decide that the Arizonas have more children than they can handle, and they go ahead and steal one of the infants. They try to create a true family unit, but uncouth prison escapees and brothers Gale and Evelle Snoats (John Goodman and William Forsythe) invite themselves and disrupt the peace. 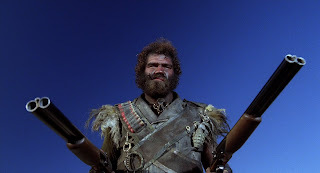 Soon Hi's boss Glen (Sam McMurray), his wife Dot (Frances McDormand) and their brood of unruly children add to the chaos, while heavily armed demon Leonard Smalls (Randall "Tex" Cobb), also known as the lone biker of the apocalypse, starts to track down the missing baby to claim the reward money. The second film directed by Joel and Ethan Coen after 1984's Blood Simple, Raising Arizona is a dramatic change of gears. The Coens demonstrate versatility by switching from film noir crime to loopy screwball comedy. 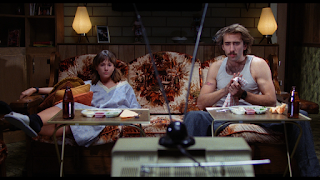 Set in an unnamed small town near the desert with Hi and Ed aiming to live the idyllic trailer park lifestyle, Raising Arizona is about chasing the American Dream, but in all the wrong directions. The film is fast, funny and features some blistering set-pieces. Halfway through, the Coen's conjure up a 10 minute sequence of pure farce that deserves a pedestal in the comedy hall of fame. Hi cannot fight the urge to rob a late-night market, but now something of a dad, his target is a free bag of Huggies diapers. What follows is a nutty chase involving a police squad car, gun-toting store clerks, a pack of excited dogs, a simpleton of a pick-up driver, with a furious Ed and her infant in the car burning rubber and wondering whether Hi deserves to be abandoned or rescued. Other highlights include Glen and Dot's children running riot, while every scene that features motorcyclist Leonard Smalls exudes hysterically mythical evil on two wheels, one step away from dishing out destruction to any living thing. 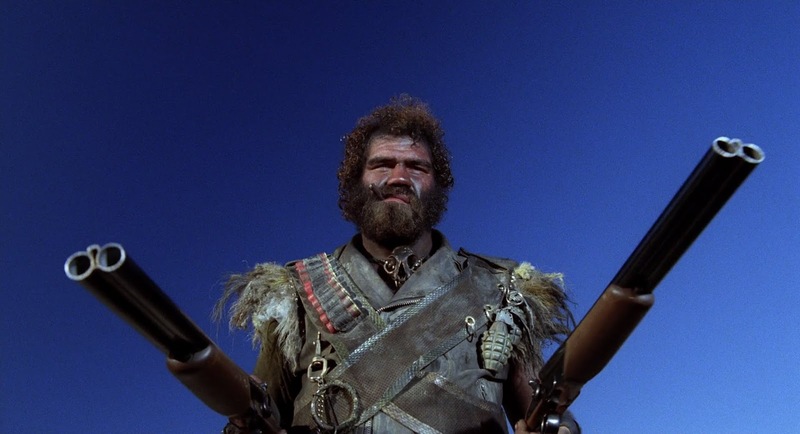 Raising Arizona's comedy style is in-your-face, emphasized by a whole lot of screaming. This is not sophisticated humour, and while most of it works, it also gets overwhelming. Quite a few scenes involve characters with their mouths open wide and just hollering at maximum lung power. With plenty of people around him given free reign to go over-the-top, Nicolas Cage pulls back and often allows Hi to relax as the most laid back person in the room. Holly Hunter is a bundle of nerves, Ed wondering where the pathway to fulfillment resides, but certain that it involves having a child. Beneath all the madness is a tale of unlikely love, Hi and Ed acting on an undeniable attraction and desperate to settle down to a simple life and just build a family. Through thick and thin they stand by each other, sort of, and baby Arizona gives them a new purpose and an opportunity to view each other through a fresh lens. Even the ammunition-free robber and the nerdy small town ex-cop deserve their opportunity to pursue happiness.